Spark young children’s interest in reading independently with Investigate, a highly illustrated series of non-fiction readers. Aiding the transition from guided reading to confident solo reading, these high-interest, visually stunning photographic books are based around exciting science themes. The fully book-banded series is organised into themed strands of six books, each of which consists of an overview book plus five companion titles. 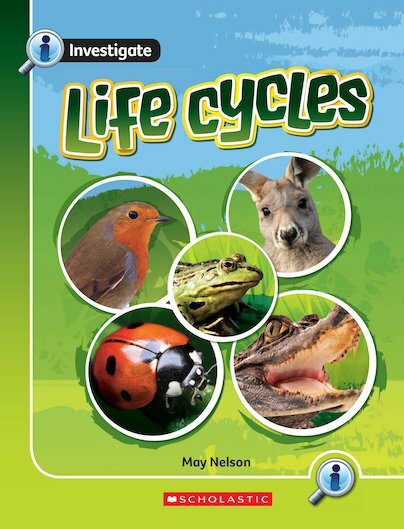 Combining easy-read text with dramatic visuals and attention-grabbing facts, Investigate supports and stimulates readers while familiarising them with the conventions of non-fiction texts. This pack contains six copies of the overview book from the ‘Life Cycles’ strand. Ideal for guided reading, it introduces the major themes of the strand, preparing children for the vocabulary and ideas they will find in the other five companion titles.